Prodded by Congress, the federal government is reexamining its decision to abandon eLoran, a network of ground stations capable of supplying essential timing and positioning data to power, phone, and other critical networks if something happed to GPS. 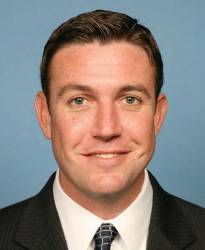 The new effort, which sources tell Inside GNSS is being supported by the National Coordination Office (NCO) for Space-Based Positioning, Navigation, and Timing (PNT), was spurred by bi-partisan pressure from Rep. Duncan Hunter (R-California) and Rep. John Garamendi (D-California), the chairman and ranking minority member, respectively, of the House Transportation and Infrastructure Committee’s Subcommittee on Coast Guard and Maritime Transportation. The two elected officials sent letters to the departments of defense, transportation, and homeland Security — the three agencies are responsible for publishing the Federal Radionavigation Plan — asking why no progress had been made on securing a backup for GPS. The queries have finally prompted the agencies to action. Indeed, Terry Halvorsen, the Defense Department’s acting chief information officer, said that he would add eLoran to the agenda of the PNT Executive Steering Group, of which he is co-chair. The steering group did, in fact, discuss the matter at its meeting this month, sources told Inside GNSS, and is working on the issue. Consensus, however, appears to be a long way off. Despite apparently broad if not unanimous support for eLoran, no agency wants to take on responsibility for the program, sources said. It would take just $40 million annually to fund the program, Dana Goward, president of the Resilient Navigation and Timing Foundation, told the committee during a February hearing — and expense called “budget dust” or a “rounding error’’ by some experts. “We don’t deal with things that small,” quipped Garamendi during the hearing. Even so, sources confirm, given the sequestration-constrained budget landscape — and a congressional penchant for handing out unfunded mandates — no agency wants to touch it. In his response to Hunter, DHS Deputy Secretary Alejandro Mayorkas hinted at the problem. Continued delay while the agencies maneuver could dramatically boost the cost to relaunch the system. 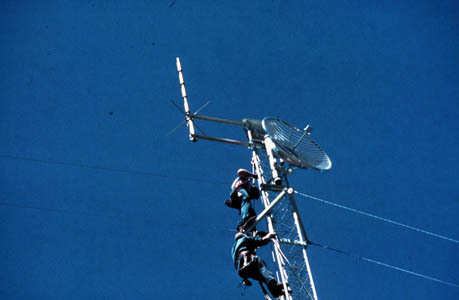 The U.S Coast Guard has been systematically dismantling the old Loran-C sites on which the eLoran system would be based. 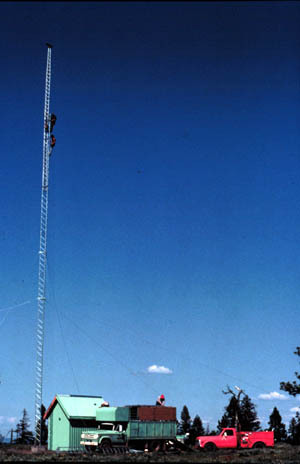 In February Hunter added language to the House authorization bill for the Coast Guard directing a halt to the demolition of the antennas and removal of equipment from the sites. However, that bill, which was approved by the House on April 1, has yet to be considered by the Senate. Although sources say the Coast Guard has now stopped, at least temporarily, destroying the old LORAN-C infrastructure, Inside GNSS has confirmed that two more sites were taken down this spring — apparently after the language passed the House. Only nine sites remain in the continental United States, the Coast Guard confirmed — less than half of the original 19 stations. As the number of intact sites dwindles, there is “kind of an urgency to decide what to do with these things,” said another source familiar with the debate. The White House will likely have to determine which agency takes the lead, the source suggested. While the U.S. wrestles with its decision, other nations are moving ahead with eLoran programs of their own. Just as this article was going to press the General Lighthouse Authorities (GLAs) of the UK and Ireland announced they had reached initial operating capability (IOC) with seven eLoran stations supporting maritime operations along the eastern coast. “As a system entirely independent of GPS, eLoran can provide navigation information for vessels as well as the timing data necessary to maintain the power grid, cell phones, financial networks, and the Internet in the event of an outage,” the GLAs said in a statement.